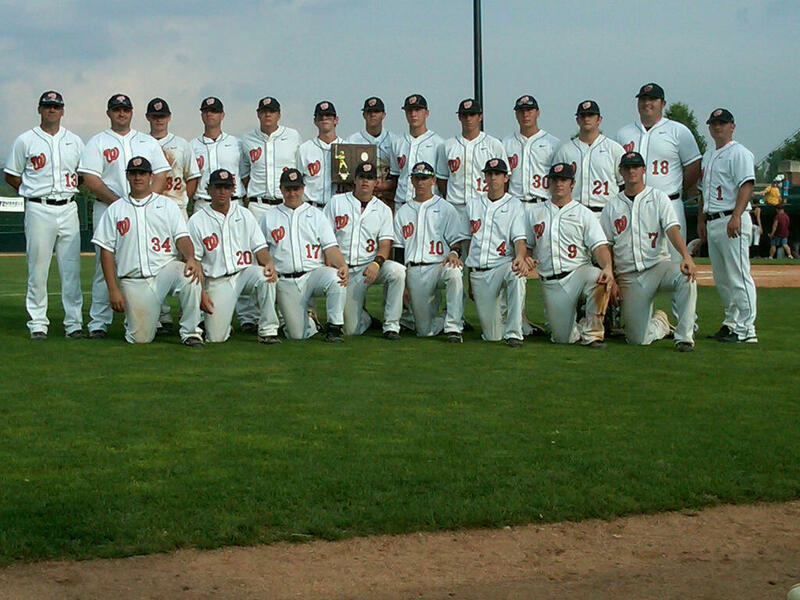 The Wheelersburg Pirates pose after their 4-0 victory over Federal Hocking in the Division III Regional Finals. The Wheelersburg Pirates advanced to the Division III State Tournament Friday with a 4-0 over Stewart Federal Hocking. Wheelersburg (29-1) scored a pair of runs in the bottom of the first inning and that was all they would need as starter Bryce Hall went the distance and completely shut down the Lancers bats. The Pirates got to Federal Hocking starter Tyler Thompson early on in the evening. Senior designated hitter Ryan O’Leary led off the bottom of the first with a base hit. Thompson hit shortstop Andrew Elliot next, and both came in to score on a single by third baseman Brandon Hall to put Wheelersburg up 2-0 after one inning. ‘Burg would tack on anther run in the bottom of the second when Elliot ripped the ball to right-center for a triple that scored first baseman Brett Hood. Thompson surrendered one more run in the bottom of the fourth after a pair of back-to-back doubles by left fielder Drew Parsley and Hood. Thompson retired the next batter and Hood got caught in a pickle, one of two base-running miscues for the Pirates, to end the inning. Thompson settled down in the final innings, but it was of little consolation with Hall on the mound for Wheelersburg. The big lefty surrendered just four hits and struck out eight in the complete game gem. Hall allowed nine Lancers to reach base over the course of the game, but stranded all of them. As he did a week earlier in the district finals, Hall relied on his pick-off move to keep runners honest. But, after retiring nine straight Lancers heading into the top of the seventh, Hall ran into a rough patch. Lancers designated hitter Josh Coen reached base on an error to lead off the inning and Hall hit center fielder Chad Campbell to put two on with no outs. Estep took the opportunity to speak with his pitcher and try to calm any nerves. He struck out following batter on three pitches and was able to get shortstop Romie Casey to fly out on the next pitch. Second baseman Brendan Torrence hit a come backer straight to Hall, who was able to field it and throw him out, to finish the game. Wheelersburg will take on the winner of Region 12, either Hamilton Badin (21-9) or Marion Pleasant (23-6), in the Division III State Semifinals next Thursday at Huntington Park in Columbus.